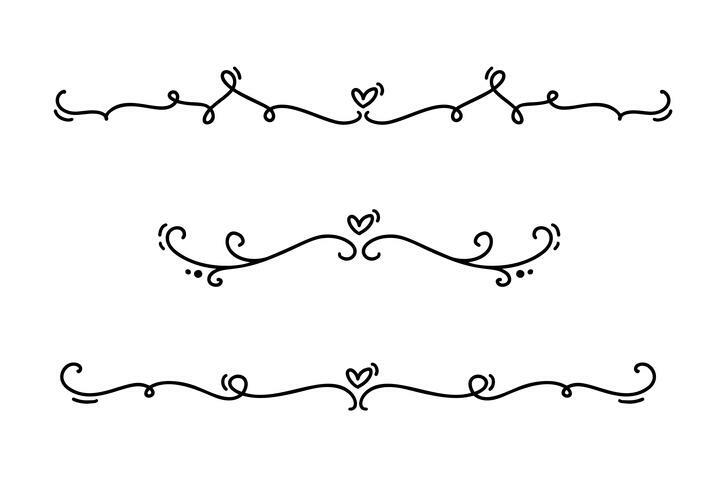 Vector vintage line elegant dividers and separators, swirls and corners decorative ornaments. Floral lines filigree design heart elements. Flourish curl elements for invitation or menu page illustration.